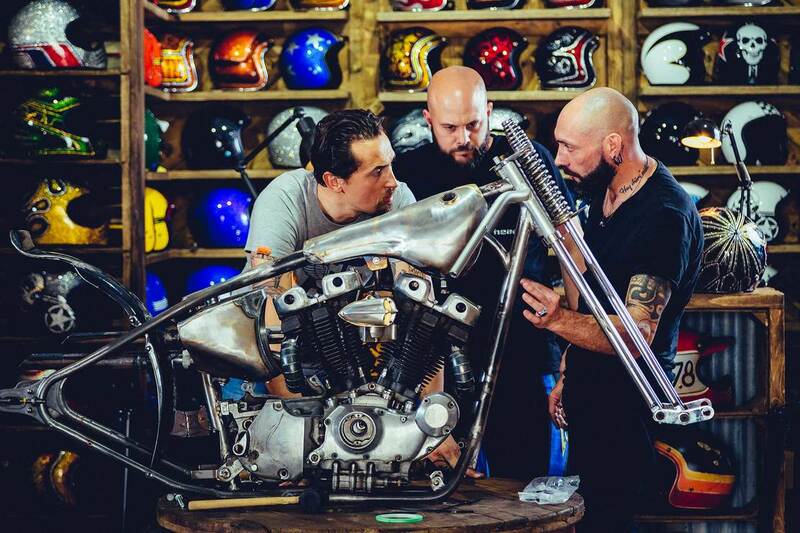 For most custom bike builds, the work follows a similar process – construction of the bike comes first, followed by the paint job. 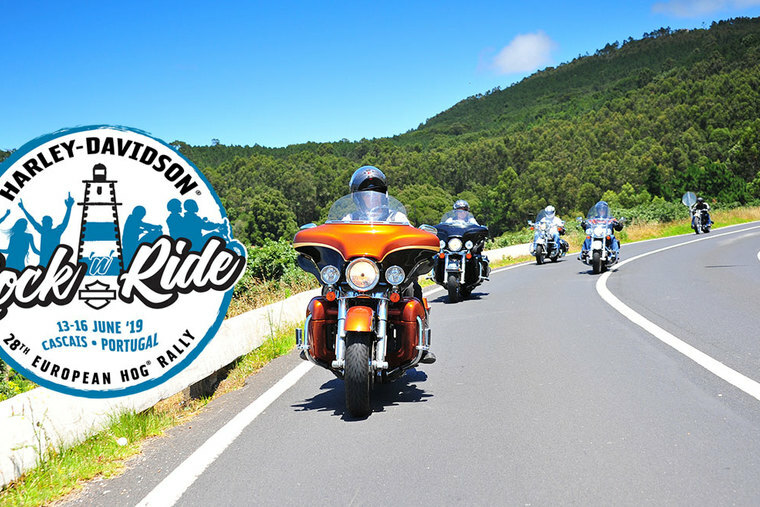 Not so in the case of ‘The Skinny’, the beautiful Ironhead Chopper creation that has won Best In Show at all three major European Harley-Davidson events this year – the Euro Festival in Golfe de St-Tropez, the 115th Anniversary in Prague and European Bike Week® in Faaker See. 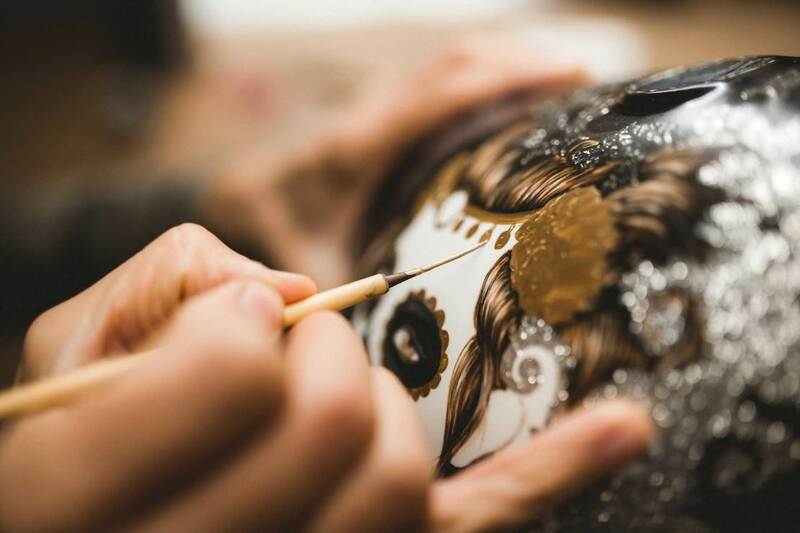 It’s less surprising when you consider that the owner, Fabrizio Caoduro, is also the owner of 70s Helmets, a custom paint company based in Vicenza, Italy that specialises in motorcycle helmets and bike paintwork. ‘The Skinny’ was always intended as a rolling showcase of the company’s paintwork skills, designed to be used as a promotional item at shows and exhibitions across Europe. The painting style is, as you would expect, quite extraordinary. Loosely based on the Mexican concept of ‘Day of the Dead’, the design also incorporates inspiration from the Far East, 1970s California and many other less definable influences. That plan began with sourcing a suitable bike. An original 1975 Ironhead Sportster® was located in the UK and imported to the 70s Helmets HQ near Venice so the work of brainstorming a design could begin. 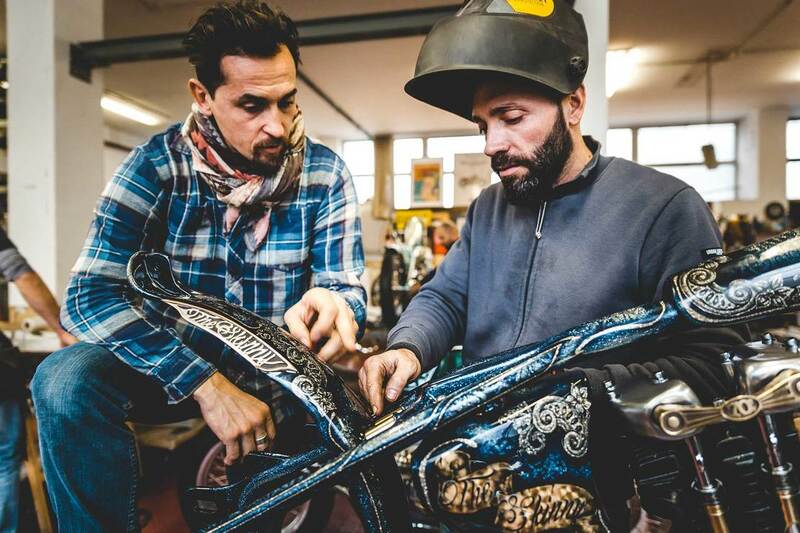 Top Italian ‘old school’ customiser Andrea Radaelli of Milan’s Radikal Chopper was the choice for much of the fabrication work, while the impeccable paintwork was entrusted to Fabrizio’s 70s Helmets crew and master custom artist Manuel Castello. The design concept of the bike was decided as a team, with the original style of the Ironhead and the paintwork concept leading to a highly distinctive minimalist style reminiscent of a historic speedway bike – and always with the goal of the making the paintwork the hero. 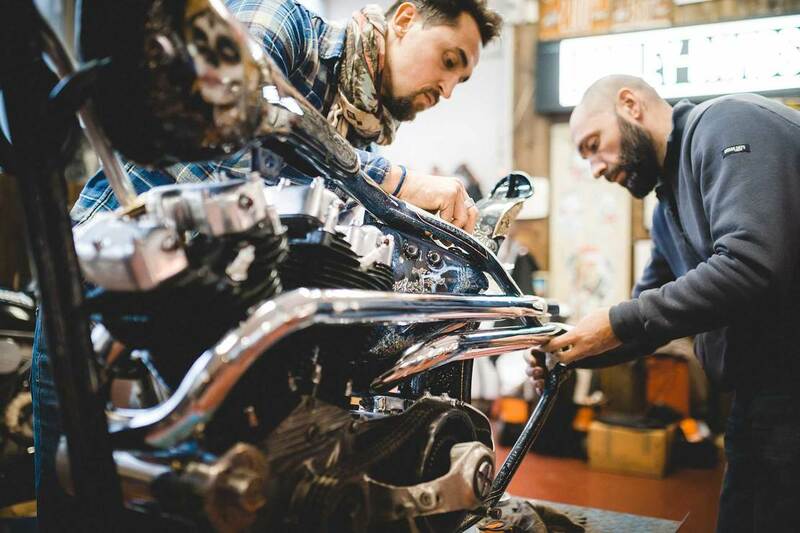 The speedway-style frame was built by ChopWorks and the handmade bodywork – the tiny gas tank, oil tank and swooping rear fender – were the work of Anvil’s Disciples. Leatherwork for the seat was entrusted to LR Leather. Hand-crafted details abound everywhere you look on the bike, from the exquisite springer front end to the split exhaust system running around the frame tubes. 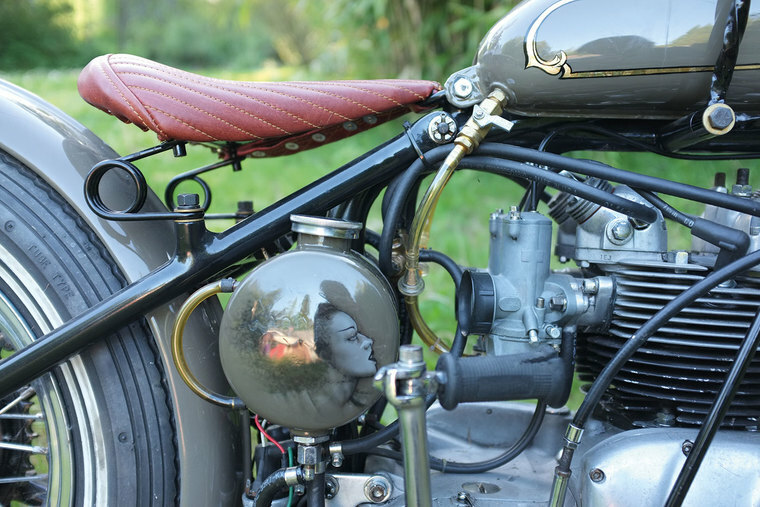 Finally, the bike was ready for its crowning glory – the complex deep paintwork designed by Manuel Castello of ‘Castellodesign’ and laid down by the 70s Helmets crew. 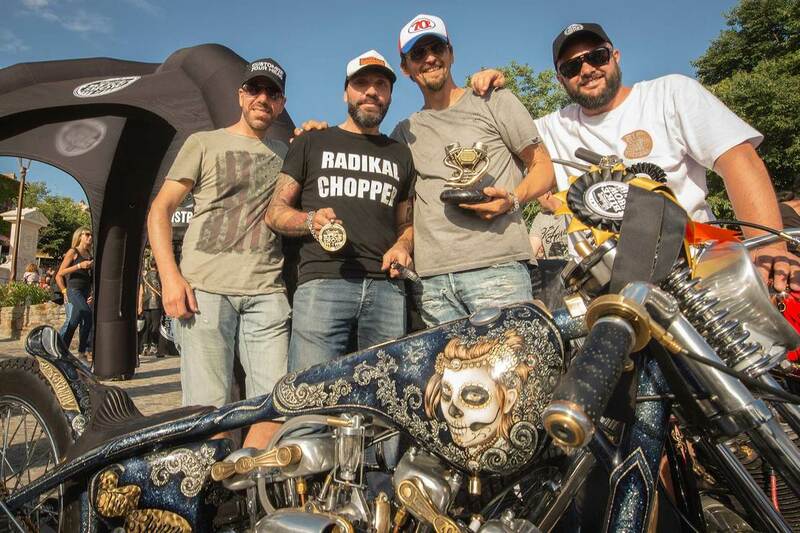 The results speak for themselves, and the exquisite build and its jaw-dropping paintjob has been rewarded with major recognition at the 2018 Verona Expo where the bike took the Jammer Old School class win – as well as success at the three biggest Harley-Davidson events in 2018.